Years ago, many of the calls we as Headhunters made elicited a response of “How did you get my resume?” I literally haven’t heard that one since LinkedIn became the shared repository of every business bio on the planet. 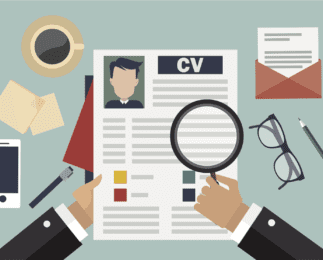 These days, we get asked all the time, “Do I really need to do a resume or will my LinkedIn bio suffice?” The answer is a resounding YES-you DO need a resume and you need to get it right! You are (or soon will be) in a leadership role. Whether you are a functional leader (VP Sales, Marketing or Engineering), a cross-functional general manger (CEO, President, COO, GM) or even a team leader, the resume—like a public company’s prospectus, or a start-up’s “pitch deck”, is your story, your unique value proposition and your passport for the journey called your career. This calling card and leave-behind can open doors or trigger trap doors along that journey. So quit mailing it in and get serious about the content, format and the ad-unit for the marketing campaign that will move you out in order to move up! So about this resume, do you need to do multiple versions for each type of role being pursued? Do public corporations do three versions of their annual report? Hell no. There is one prospectus on a stock offering, one brand brief on an ad campaign and one functional spec on an app—each of these will evolve as they are iterated, but there is one document. The goal is to represent yourself in that document and keep it current! All of the opportunity specific positioning, hype and specialized bits should be included in your cover e-mail and the pitch you deliver verbally in a call or initial phone interview. So what constitutes the perfect, or at least the effective executive resume? First things first, the basic format of the resume has been around for the better part of a century. It is an incredibly utilitarian format. Simplistic, chronological and easy for the professional resume reader to digest and decide in less than 20 seconds what s/he needs to ingest to make a determination whether or not you warrant the much, much deeper 2-3 minute read-through. That’s right, your resume needs to convey in 20-30 seconds enough of your value to get that 24 year old intern, Talent Acquisition Coordinator or that 67 year old member of the board directors to make that next level 120 second investment of time and energy. Resume readers are lazy and they want a standardized, chronological format where the indents, italics, bolds and bullets let their eyes quickly land on the key accomplishments, tease out the quality of your employers, customers and partners and reveal the trajectory and velocity of your career. Offset the dates of employment in the left margin or right justified and surrounded by enough white space so the reader can easily visualize the timeline. I recommend a large left margin with the dates as it allows for the reader/interviewer to take notes (and that’s HUGE!). The format should literally pull your eyes down the page and almost read itself. Use bold, italic, color type and even logos to add impact and flow. Do the 20 second test and see if you saw enough to get you to read on. As to length, the old one-page rule is malarkey. If you are a senior executive and your entire value fits on one page, then you haven’t accomplished much. The key here is to make certain that you are dishing up the highlights “above the fold” on the first page of the document. If you attended Harvard, feature it up top, if you went to Bob’s College, maybe the footer would be better. Remember, you’ve got 20 seconds! An in-the-field Sales and Monetization executive, team builder and player-coach who owns a quota and personally prospects, nurtures and closes major strategic deals while making subordinate sellers more effective, more successful and less likely to turnover. With a track record in both enterprise software and technology services, I bring a broad set of skills, experience and a network that will serve emerging growth as well as startup technology companies. If you are a three year out of school software coder, then you may want to list every modern programming language, framework and open source tool in order to get past the resume parsers and machine readers that most HR organizations employ. Don’t use a header that includes a bunch of management and leadership buzzwords. If you nail the accomplishments in each job, the reader will get your value proposition. Don’t force feed the reader and use up valuable real estate above the fold on page 1 of your resume. There, that wasn’t hard was it? Now I won’t get this outfit confused with Acme Discombobulator out of Scranton, PA! 4. Provide a brief “before” snapshot of what you inherited and then highlight the specific RESULTS you delivered and explain the outcomes! 5. Create your Reality with your Vocabulary! Stay away from vague or generic narrative like, “results-driven, outside the box thinker who enables teammates by being proactive…” Just shoot me now–because the reader already shot you! Don’t use self-descriptive terms that tell how you are self-starter, collaborative, creative, strategic, synergistic, knowledgeable, team-player, work-ethic, passionate, or God forbid VISIONARY. Instead, tell us what you DID and let the results, outcomes (remember – which resulted in “”), awards and of course IPOs speak for themselves! Utilize action verbs to begin most bullets that illustrate what you did like: Delivered, Designed, Launched, Increased, Created, Implemented, Led, Managed, Owned, Deployed, Wrote… got it? You should read 50 or 60 resumes before you draft your own. If you don’t have e-mail folders full of them, Google them or ask CEOs, HR folks, hiring managers and of course Headhunters. I often share examples of the best resumes I have read with candidates. Don’t be shy! Take notes. Copy and Paste. Steal descriptors. Lift formatting. But hey, you’re more than just a resume. Check out my next post where you can run a “Career Diagnostic” on yourself that will yield important direction for your career search and your Headhunter!